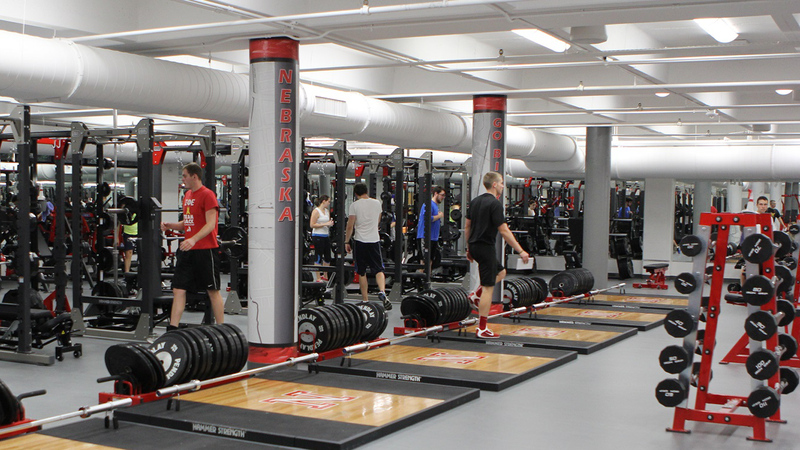 The University of Nebraska–Lincoln department of Campus Recreation services over 26,000 memberships annually to the students, faculty, staff, and alumni of the university. Over 750,000 annual visits are logged at the Campus Recreation Center on City Campus, the Outdoor Adventures Center, and the Recreation & Wellness Center on East Campus which serve as the campus’ exercise, fitness, and recreational sport facilities. The department also manages over 175 acres of outside/green recreation space and administers the intramural and extramural sports, fitness, wellness, sport clubs, recreation & leisure classes, academic recreational activity classes, outdoor adventure trips, aquatics, injury prevention & care, massage therapy, challenge course, bike shop, rental gear and equipment, personal training, and youth activities programs. 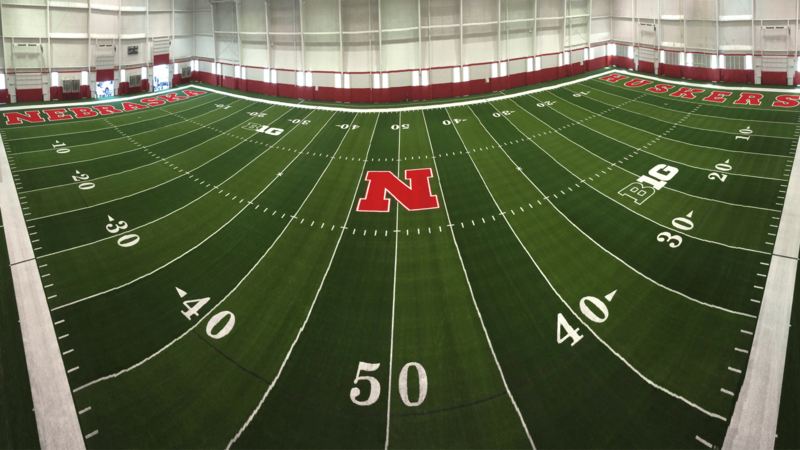 The Campus Recreation Center (City Campus) is a three-building complex that was funded through donations from the Nebraska Athletic Department and a fundraising campaign by the University of Nebraska Foundation. Phase I: Cook Pavilion and the indoor synthetic turf field, opened November 1987. Phase II: Lee & Helene Sapp Recreation Facility, opened Summer 1989. This phase renovated a portion of the Coliseum into racquetball & squash courts, and created a new building with strength training and conditioning room, a jogging/walking track, and four basketball/volleyball courts, as well as administrative offices for the Campus Recreation department. Phase III: Coliseum Renovation, completed in 1992. 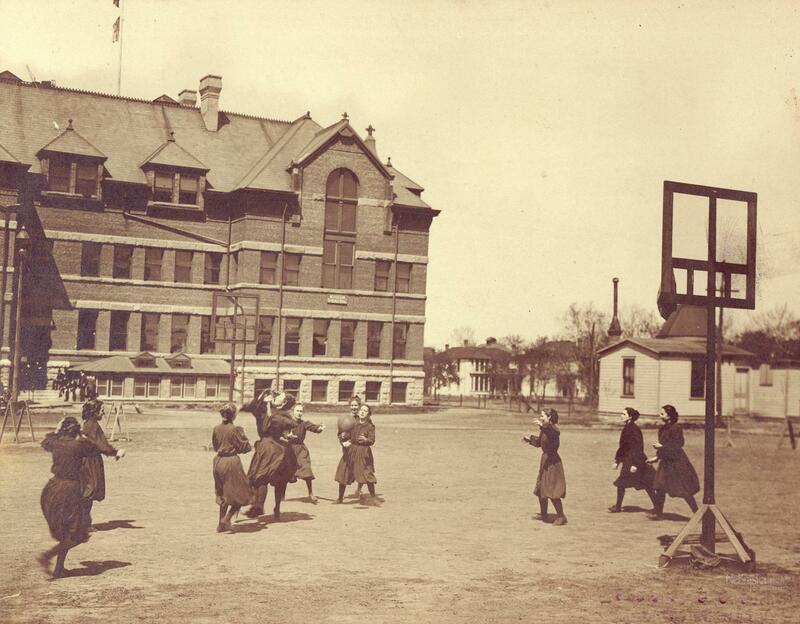 Provided a combative arts room, a group exercise room, additional basketball/volleyball/badminton courts, and improved men's and women's locker rooms w/ saunas, plus offices and locker rooms for select Nebraska Athletics sports. 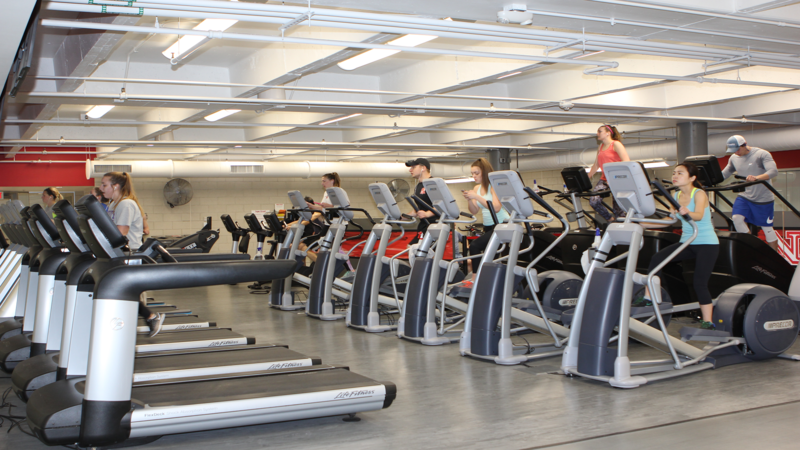 Expansion of Cardio Zones inside Campus Recreation Center (City Campus); opened August 2011. Construction of new Outdoor Adventures Center; opened May 2014. The facility is home to Nebraska’s largest indoor climbing gym, the adventure trips & gear rentals, campus bike shop, and adventure-based academic classes & non-credit activities. Renovation & expansion of Strength Training & Conditioning Room inside the Campus Recreation Center (City Campus). Opened October 2014. Construction of new Recreation & Wellness Center (East Campus) reusing the exterior walls of the East Campus Activities Building. Opened July 2015. (The former Activities Building was constructed in 1926 and became a Campus Recreation facility in 1977; the first strength equipment was added in 1983). All areas are accessible to people with disabilities. The university Campus Recreation Center has received the "Outstanding Sports Facility" designation from the National Intramural-Recreational Sports Association. Timeline of the history of recreation at the University of Nebraska. Approximately 79,280 sq. ft. in total size. Full football field in size, plus a 5-8 yd safety margin around the field. 66 ft. ceiling height at the center of the field. 6 in. slope from the center of the field to the sideline (just like Tom Osborne Field). Construction began April of 1987 and was completed November of 1987. Cook Pavilion is just one of the several facilities that is open to the entire student body of the University of Nebraska year round. We are one of the few universities in the country to offer such a large facility as Cook Pavilion and is equally shared with the Athletic Department. However, between the hours of 1pm - 6pm Monday through Friday, varsity athletics does have priority on the field. The student body is allowed access to the field whenever athletics is not using Cook Pavilion. Cook Pavilion is available for rental for groups outside of the University of Nebraska. For reservation information email Sally Pfeiffer. 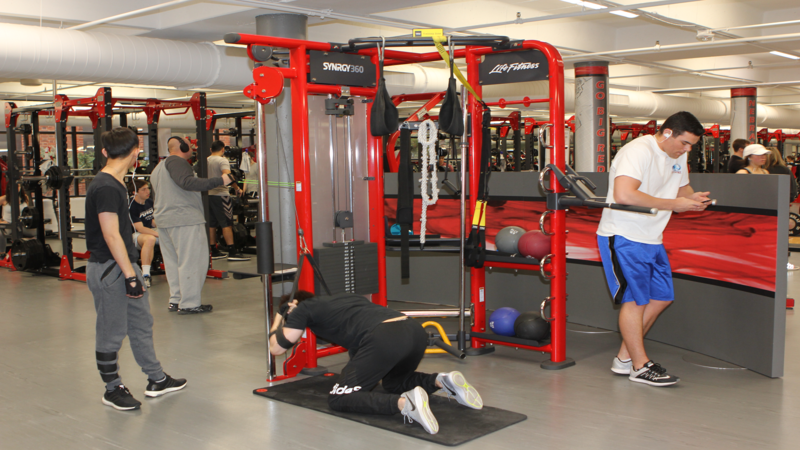 Equipment Checkout has all the sports equipment you need to enjoy yourself at the Campus Recreation Center. And most of it costs you NOTHING to check out. Available for one day check out (indoor equipment) and three day check out (outdoor equipment) at no cost to our members. We also have rental equipment available for both members and non-members. However, members do receive a discounted rate. Equipment Checkout is conveniently located in the Campus Rec Center and offers a variety of sports-related retail, rental, and checkout items to enhance the recreational experiences of patrons. Students and members are required to present their NCard to check out/rent equipment. *For use in Campus Recreation facilities only. #Rental fee of $5.00 per item/per day will be charged for any item not returned by the designated time. Replacement fee will be charged for excessively damaged, broken, or lost equipment. The Injury Prevention and Care (IPC) Program of Campus Recreation serves those who are injured in Campus Recreation programs and facilities. In addition, IPC serves as a valuable resource to those recovering from injuries by providing education and answers to questions and concerns. The IPC program is staffed by two full-time Certified Athletic Trainers and over 25 student employees who are trained in first aid and injury care. The following handouts are provided for general informational purposes and may not apply to specific individuals or specific injuries. They are not intended to replace the medical advice of a a physician. Ask-IPC is a question and answer service located on the web site. Individuals can ask for information about sports injuries and treatments by submitting their questions via the web site and the IPC staff will answer with a personal response. It is simple to get professional advice! Campus Recreation members are always welcome to visit the IPC centers at the Campus Recreation Center and East Campus Activities Building to talk personally with a staff member. The IPC staff offers a non-credit Athletic Training Basics class each Spring semester. The class covers basic athletic training topics such as the HOPS system; injury evaluation of the ankle, knee, shoulder, head, and neck; taping and stretching techniques; medical emergencies (including diabetic emergencies, asthma attacks, and allergic reactions); and rehabilitation of athletic injuries. This class is recommended for those interesting in sports, recreation, or coaching; wanting more knowledge and confidence in dealing with injuries; or wishing to become an IPC staff member. A limited number of men's and women's lockers are available for rent or upgrade on a first come, first served basis. Recently expired locker rentals must be renewed prior to any change or upgrade. Some day-use and coin-operated lockers of various sizes are also an option. Members and guests may use personal locks on "day-use" lockers ONLY. Campus Recreation will provide locks for all other lockers. The charges for lockers vary according to the size of the locker. Keep in mind that you must be a current member to rent a locker, except for at the Outdoor Adventures Center. A $10.00 refundable lock ($20.00 Bike Locker) and towel deposit is required when renting a locker at any location. Lockers may be rented on a annual year (September -August), academic year (September - May), or for the semester only (Fall, Spring or Summer). If you are a university employee using payroll deduction for your locker payment then you must have the annual locker option. The renewal deadline for annual lockers is August 31 and the renewal deadline for academic year lockers in May 31 of each year. If you rented only for the fall semester the renewal deadline is December 31. 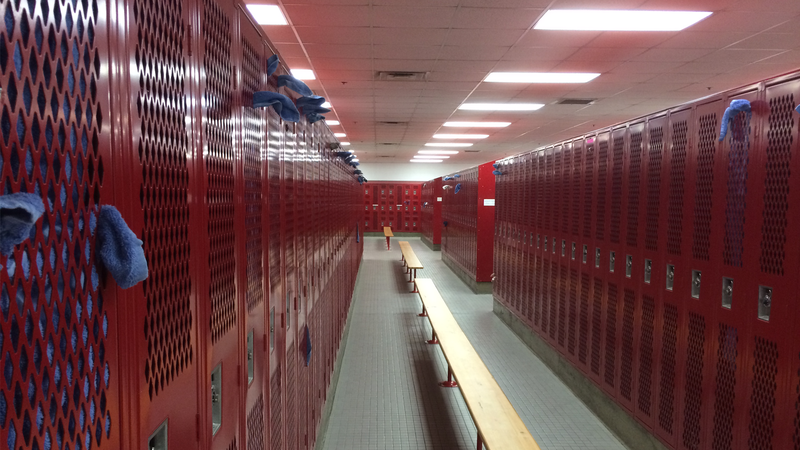 Lockers are cleared immediately after the renewal deadlines and the contents are held for an additional 30 days. If you decide not to renew your locker, please clear your locker and return your lock and towel to Campus Recreation Center Member Services or the East Campus Activities Building office. 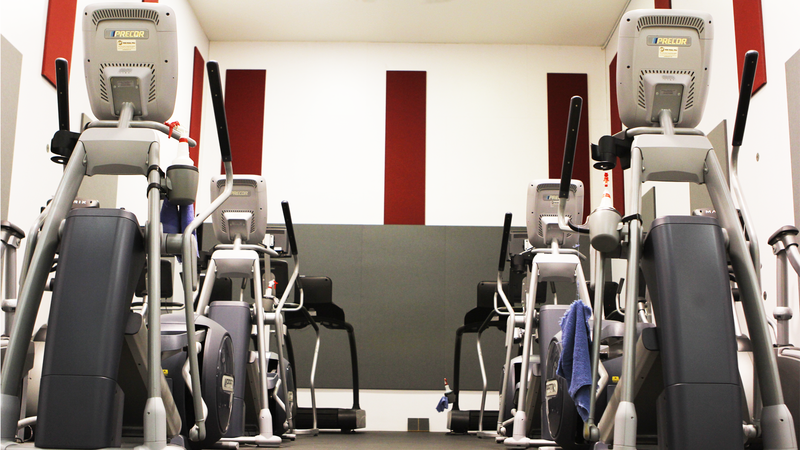 If you're serious about working out in the Campus Recreation Center, then you're going to sweat. Take advantage of our FREE Towel Check-out service. Just bring your university Student ID card, and you can use a towel while you are in the Rec Center. A towel service is provided as part of the locker rental charge. If you are not a locker renter, you can check out a shower towel with your NU photo ID. In addition, free towel services are offered in the Strength Training and Conditioning Room (Campus Rec Center and Fleming Field Annex Bldg.) and Super Circuit (Campus Recreation Center). The towels issued in the Strength Training and Conditioning Room and Super Circuit may only be used while in these areas. They should be returned prior to leaving. You may also receive a towel at Campus Rec Member Services or the Towel Check-out counter, across from the Fitness room. One towel is issued per individual, however, a soiled towel may be exchanged for a clean one as often as needed. 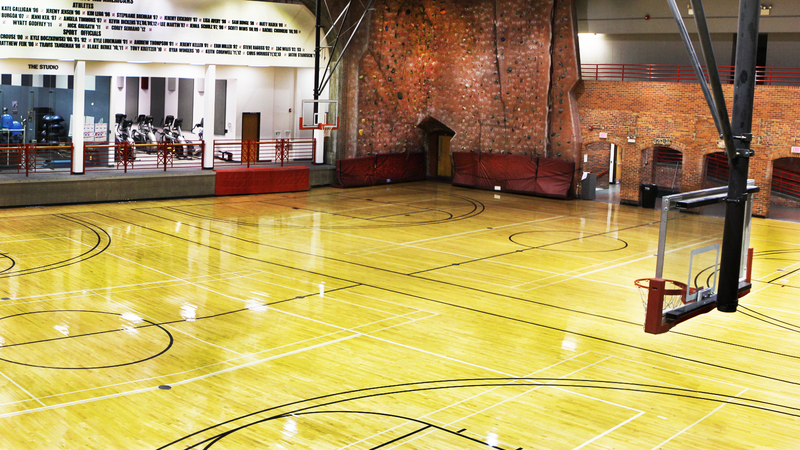 The University of Nebraska Campus Recreation Center has 8 multi-purpose courts for our members to enjoy. We also have 2 courts that are available for use in Mabel Lee Hall on City Campus. Open recreation times are posted at each court. Campus Recreation reserves the right to change court availability when needed or when special programs are being held. If you have any questions, comments or concerns regarding court availability please contact Sally Pfeiffer. Campus Recreation has 11 Racquetball Courts available for use by members and their guests. This also includes a glass walled challenge court. We have a dedicated Squash Court as well. Racquets are available for rent and balls are available to purchase at the Equipment Check Out window. Eye guards are strongly recommended and available for FREE check-out through Equipment Check Out of the Campus Recreation Center. To ensure the longevity and quality of our court surfaces, we do ask that you only wear court shoes while playing. We also ask that you wear only shoes that are dedicated to playing indoors. By wearing shoes that have been worn outside, you may bring in dirt and rocks that destroys the finish on our floors. The Strength Training and Conditioning Room is open to all members of Campus Recreation during regular facility hours. 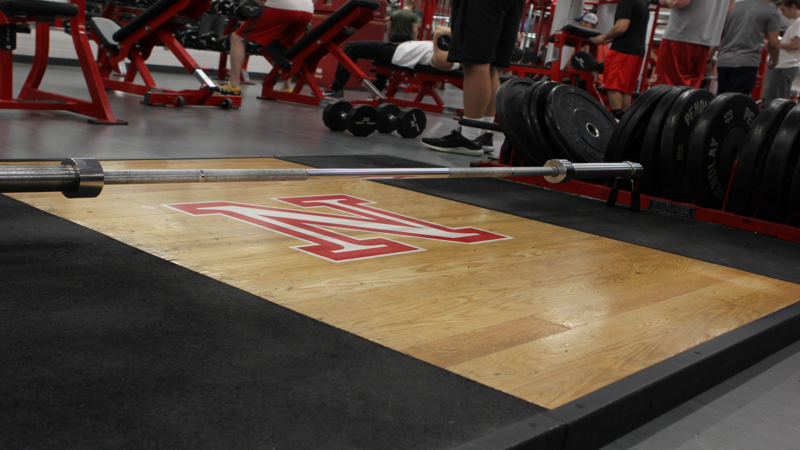 All users are expected to read and abide by the Strength Training and Conditioning Room Policies. Improves personal appearance through increases in muscle tone or muscle size, thereby improving posture and strength. Increases Resting Metabolic Rate (RMR) - the amount of energy your body uses to maintain life at rest. Muscle mass is metabolically active tissue during exercise AND at rest, so it uses energy throughout the day even when you're resting. Increasing muscle mass through resistance training could increase your RMR which raises the overall calorie utilization. Benefits attitude. This is often the result of the feeling of accomplishment many people feel after resistance weight training sessions. The increased blood flow clears the mind, enables better sleep sessions, and contributes to an energized feeling. Helps maintain or improve physical working capacity at any age, meaning you can do more of the activities you enjoy throughout your life. Aids in prevention of osteoporosis (a bone wasting disease, bone mineral density loss) by increasing bone mineral density in response to the increased load on the skeletal system. 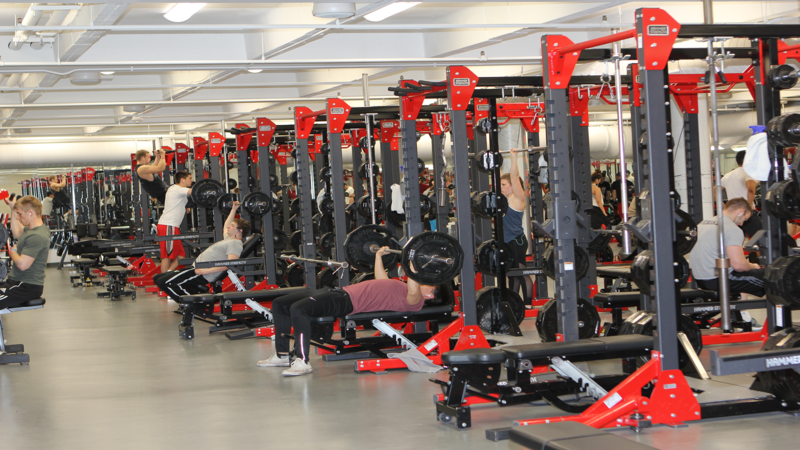 The Strength Training and Conditioning Room (STCR) Orientation has been developed to help all patrons use the STCR comfortably, confidently, and safely. Goal: To provide information and about policies and rules in the STCR, and to help patrons become more familiar with the cardiovascular and resistance machines. Orientations are highly recommended, but it is not mandatory. The Super Circuit is open to all members of the Campus Rec Center and is located within the Strength Training and Conditioning Room. All users are expected to read and abide by the Super Circuit Policies. The main focus is to improve muscular fitness, while also enhancing aerobic fitness simultaneously. The actual workout time is less than 30 minutes. The thirteen stations are designed to work all the major muscle groups in the body. In addition, these exercises work the lower and upper body in an alternating fashion, progressing from the larger muscle groups to the smaller. This may gain the maximum benefit of blood circulation throughout the entire body. The alternating fashion of muscle groups helps prevent possible pooling of blood, which could lead to lightheadedness, dizziness or fainting. The Super Circuit provides you with a simple, time-efficient, non-intimidating total body workout. The Campus Recreation Center Swimming Pool is a five lane, 25 yard indoor lap pool that is open year round. The pool is only 4 feet deep and is also available for family swim time as well. There is always at least one lifeguard on duty. All users are expected to read and abide by the Swimming Pool Policies. Click here for more information about the aquatics program and offerings at Campus Recreation. An adequate swimsuit must be worn to avoid problems with the filtration system (no cutoffs or T-shirts). State law requires that everyone shower before entering the pools. Street shoes/boots cannot be worn on the pool decks. Diving into the swimming pool is prohibited. Running, rough housing, spitting and clearing nasal passages are prohibited in the pool area. Children 9 years of age or older may use the Campus Recreation Center Swimming Pool without direct supervision by their parent or guardian so long as the parent or guardian remains in the Campus Recreation Center and the child is able to swim the width of the pool unassisted and without stopping. Children must obey pool policies/procedures. Horseplay will not be tolerated. If you have any questions, please contact Member Services at 402-472-3467 or email us .